If you ride the T, chances are you've used one of the dozens of apps to find out when the next train or bus is coming. But how do you know which app is the best? The MBTA is hoping to help riders figure that out by officially endorsing an app it says will provide the best information about commutes. MBTA Chief Technology Officer David Block-Schachter said having more people use one app will help improve service. "We expect to be able to do that through the data that we get back as well as the crowdsourced data we get back on things like crowding or conditions in stations that need to be cleaned up," Block-Schachter said Friday. 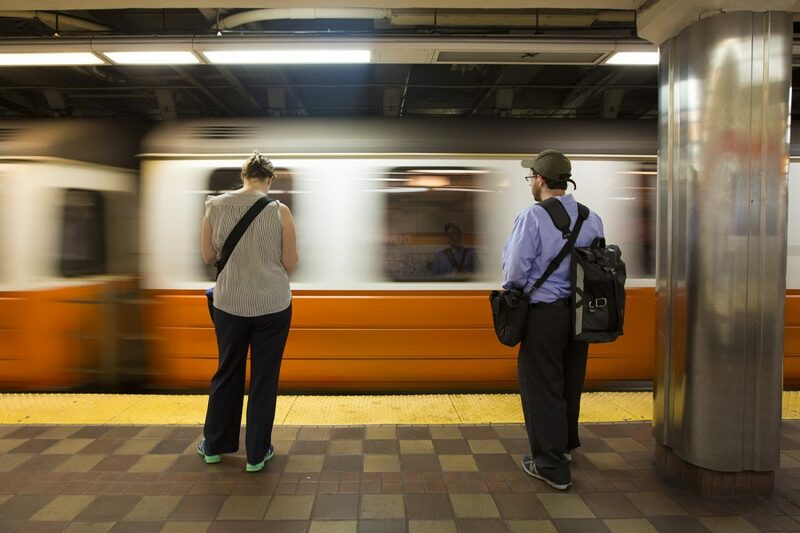 The MBTA launched a contest last month to evaluate and select a third-party app. On Friday, the four finalists -- Moovit, Transit App, Swiftly and Moovel — presented their apps at a public forum. All of the apps are free and currently available on iOS and Android, with the exception of Moovel, which launches early next week. 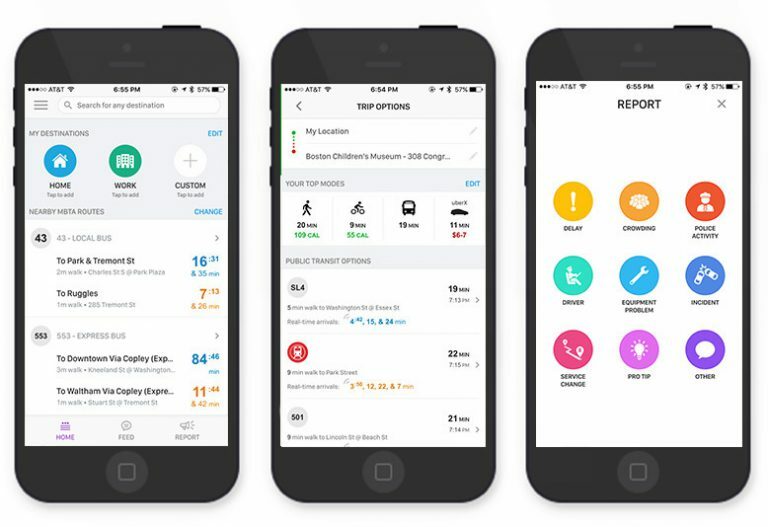 Each app includes a variety of features such as real-time schedules, custom notifications and information about alternate transportation options such as Uber. Moovit has a global footprint and is available in 42 languages, a feature that could be useful to non-English speakers locally. The app also allows riders to report transit issues, such as delays or trip conditions, to fellow commuters. "Gone are the days where you’re simply able to complain on Twitter about transit," said David Klein, the North America manager of Moovit. "You can actually go into the app and help improve the system. So we’re empowering riders and then subsequently empowering the MBTA to improve service to users based on genuine data from users." 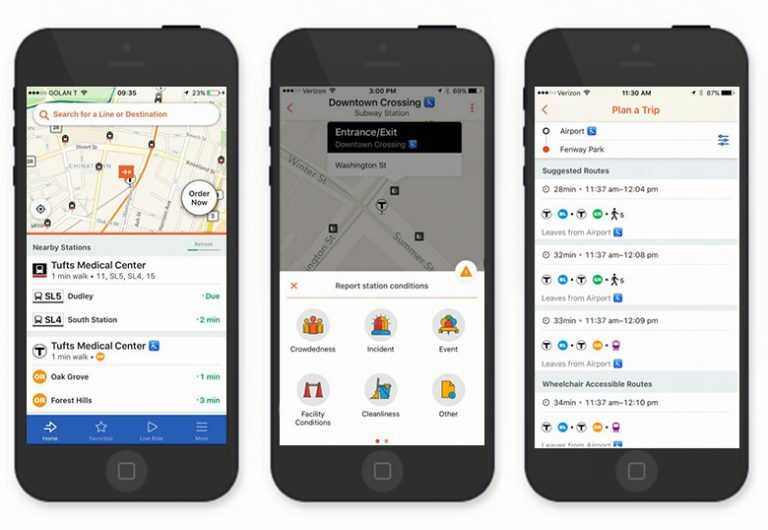 Moovit also has staff that monitors transit websites for information about service changes so they can manually update information in the app. Transit App has a bold display with large fonts. The app allows riders to set up notifications for each stop on their route, so they don't miss their stop. It also includes information about Hubway in addition to ride-hailing services. Crowdsourcing is a big part of this app. The company is currently piloting a feature in Pittsburgh that allows riders to chat with each other about commuting conditions — something that could be quite useful during, say, a major snowstorm. "People would be able to report things to one another about what’s going on and the agency would be able to comment back and actually chat with the riders as well," said Jake Sion, Transit App's director of strategy and development. 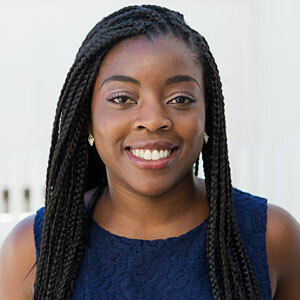 Swiftly focuses on giving riders the most accurate transit arrival times so people can plan exactly when to get to a bus stop or train stop. The app provides arrival times down to the second (times are accurate down to about 30 seconds, the company says). This is done by looking at real-time data in addition to historical data for each route. Moovel also has a global footprint and has partnered with other transit agencies. 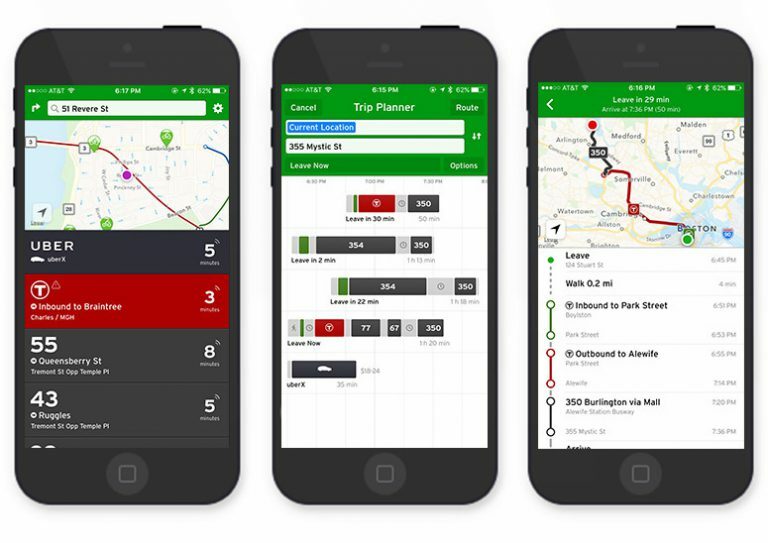 In Germany, the app allows users to pay for transit rides directly through the app. 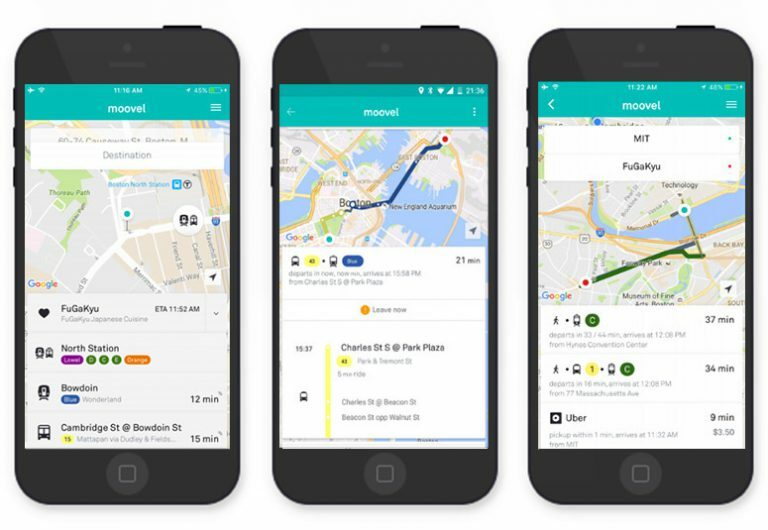 Moovel also gives users detailed directions for catching a bus, train, ride-hailing service or other transportation option. The MBTA will choose a winner on Sept. 6 and will feature the selected app on its website. 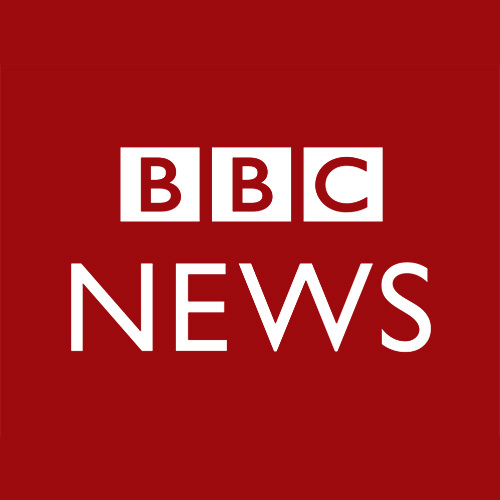 The public can weigh in on the finalist and get more information about the apps online. The T says it will work to ensure the winning app has the most reliable and up-to-date information for transit riders. The MBTA will also be able to tap into anonymized data that riders enter into the app, from reported issues to trip information.